Here is how to watch the Pac–12 Conference men's basketball tournament. 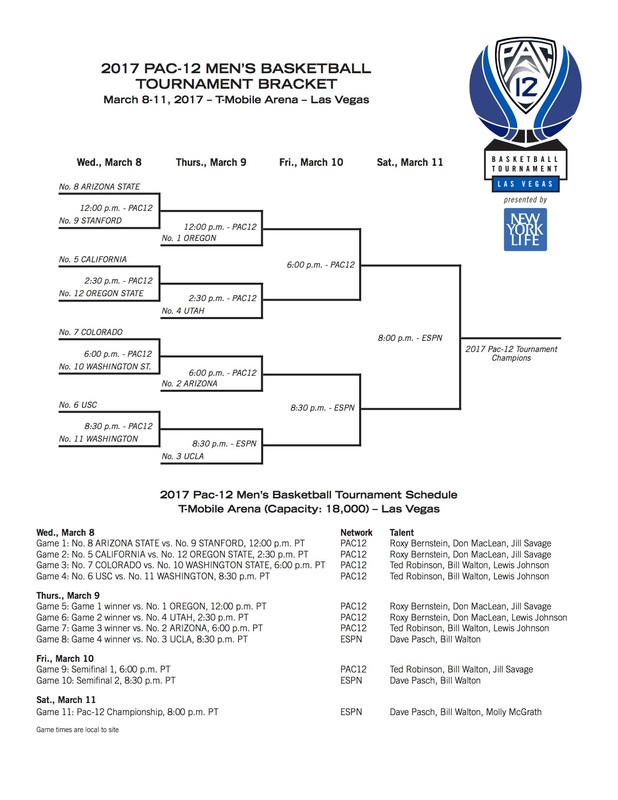 The 2017 Pac-12 men's basketball tournament will be played from March 8–11 at the T-Mobile Arena in Paradise, Nev., with the tournament champion receiving the conference's automatic bid to the NCAA tournament. Oregon is the tournament's defending champion, but UCLA and Arizona each could stake their claim as a possible No. 1 seed in the NCAA tournament should they take home the title. Those three schools are the last three to win the Pac–12 tournament, with UCLA winning it in 2014 and Arizona winning the crown in 2015.